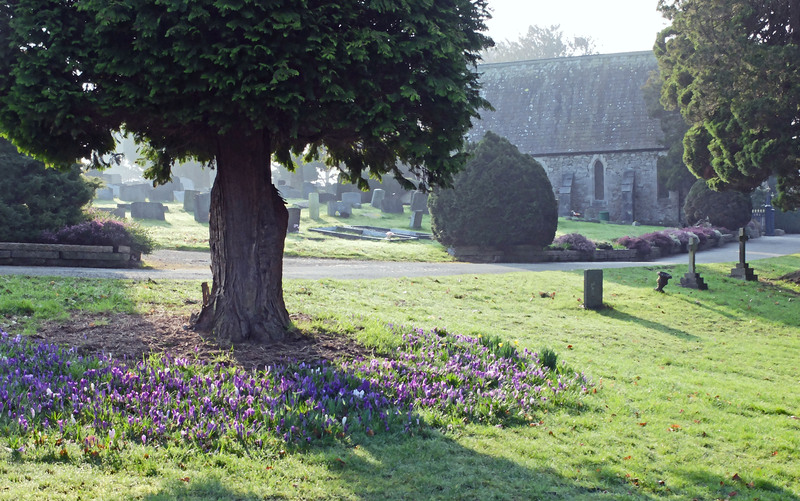 On thursday morning last week I found myself in a beautiful Cemetary in Kendal. It was early morning and the light was wonderful, dark shadows and a touch of lingering mist. 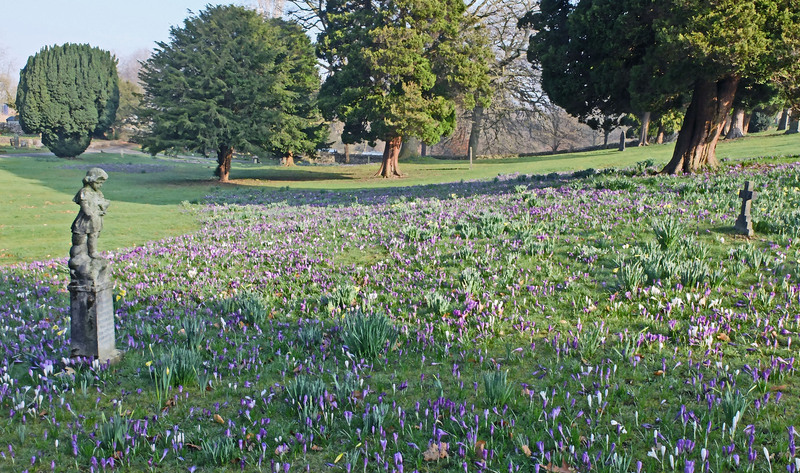 Often it has been suggested I go to see the crocuses at this time of year, I was not disappointed. The timing of my visit was strangely poignant as the previous day had been one of great upset and the coming of this fresh spring morning was tinged with sadness. 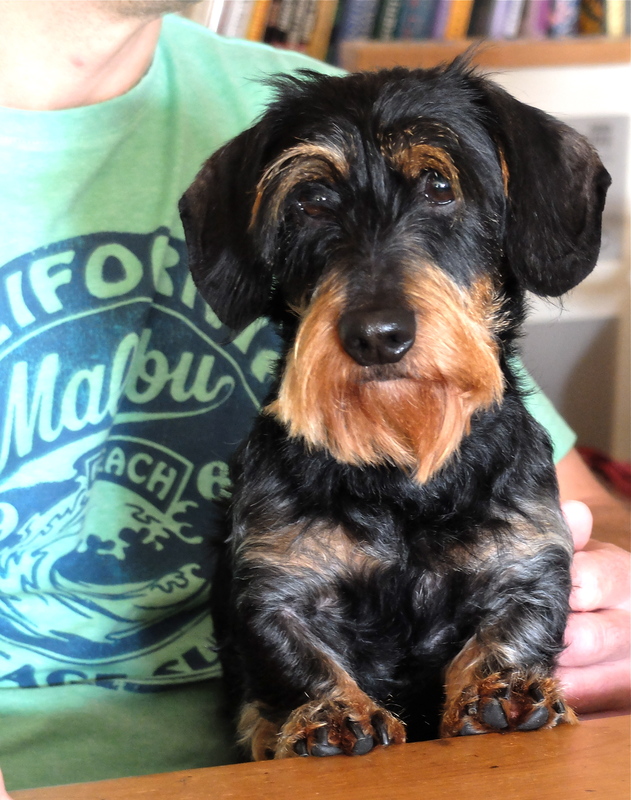 Archie, our dog we got as company for our older dachshund had to be put to sleep. He was four and had developed eye problems, the start of a condition called Lafora. It took us all by surprise as we had only had him for 4 months, but in that short time we all loved him dearly. He was a handsome boy with a gently quirky nature and he very quickly crept into all our hearts including Alfreds, who loved cuddling up to him. So my thoughts for the last few days have been a little somber. A dog can so easily get to a part of you no human can. They love you unconditionally and if you love them back the rewards are immeasurable. But life moves on and sunny spring days enable us to turn our thoughts away from sadness. 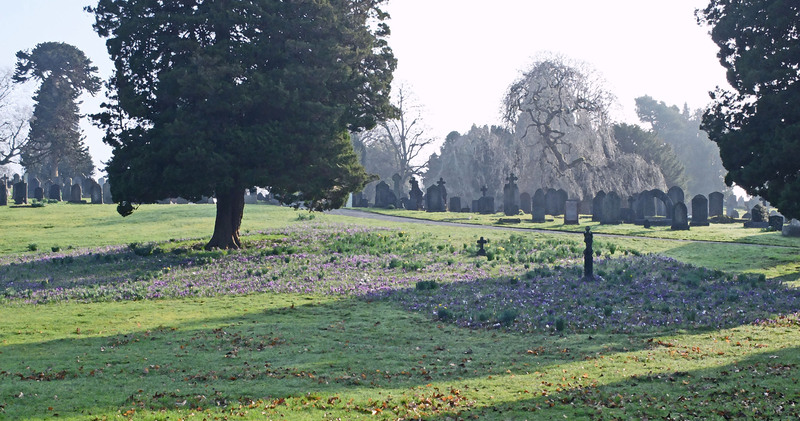 It felt calm walking down the paths between the graves and vast swathes of crocuses, the silence broken only by the bustling of the birds, so happy in the morning sunlight. This was their place, I was just a visitor and in being so felt I should tread quietly. Their morning routine was searching for breakfast, rustling through leaves and singing such notes you find hard to believe can come from the throats of such small birds! I even saw a tree creeper winding its way up the yew trees, picking off the insects as it went. The crematorium fits into the setting with discretion and dignity, complimenting the lines of the graveyard. There is no harshness here, just a gently respect for those who have departed. 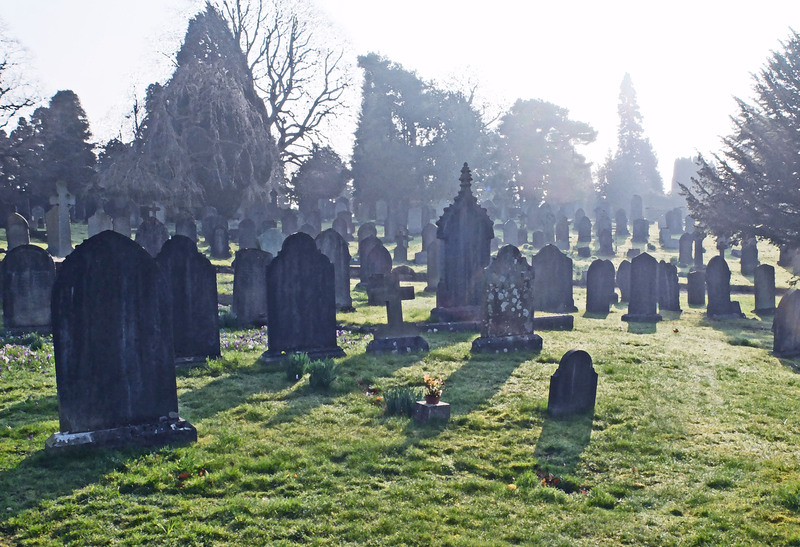 I don’t generally find graveyards depressing, and certainly this one has an unregimented beauty some don’t. There are lots of old graves covered in lichen and speckled by the ravages of time. So many lives and tales we will never know, but all of them representing a life lived whatever that may have been like. We all like to romanticise the life and death of our ancestors but I’m sure their lives were not so very different from our own, they just had a different setting to sort out their problems in. I believe every generation thinks their problems are worse than the people who came before them, perhaps they’re just different problems. There are always interesting trees in graveyards, Yews are synonymous with the places we lay our departed to rest. The Weeping Ash in the background is reminiscent of creepy trees in children’s fairy tales and looks as if it could become animated on a dark moonless night. 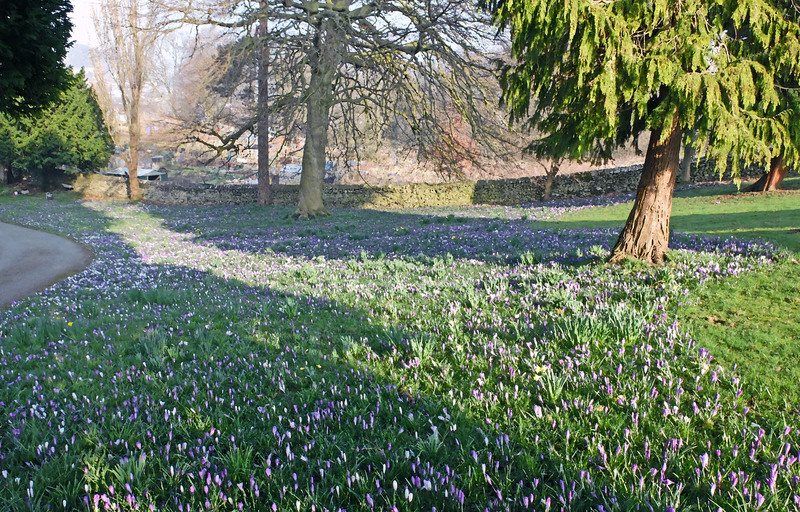 I have never seen so many crocuses, they encircle the trees and flow gently down the through the grass. 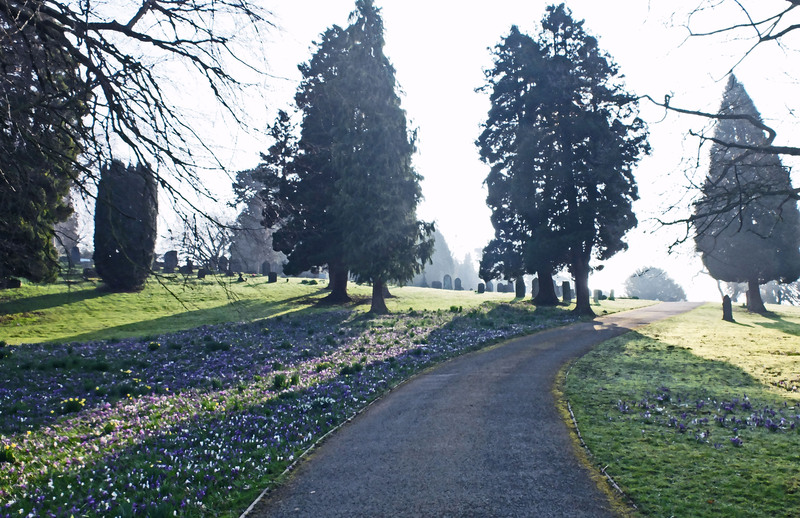 There is so much space for contemplation as you walk down the winding paths leaving the graves behind to admire the colour peeping up from amongst the grass. Someone has really put some thought into making this place beautiful. I imagine those who are burried here would be pleased if only they could see the glorious spectacle above where they lie. I saw only one person as I wondered around, camera in hand, and that was a man in the distance near the crematorium. He was working in the early morning sunshine collecting leaves and tidying so all who came here could feel the peace that this place exudeds by the nature of its purpose. 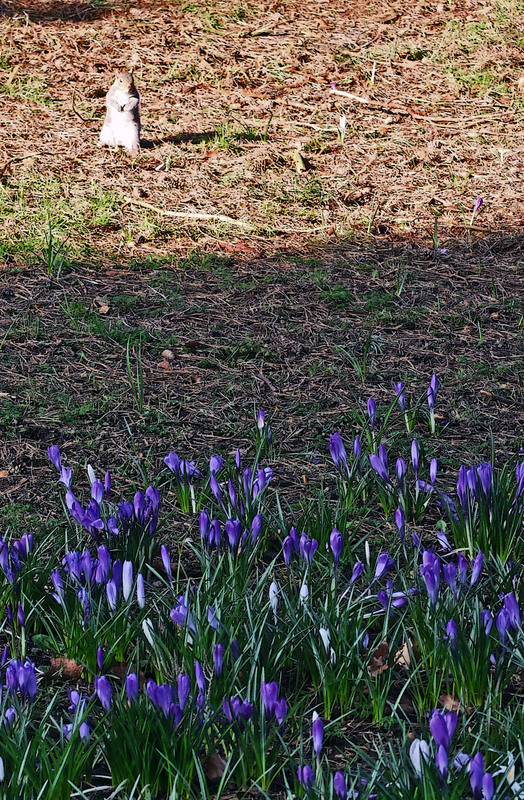 This statue stood alone amongst thousands of daffodils and crocuses, so numerous I would have had trouble getting close enough to read the inscription. But sometimes meanings are clear without words. I have enjoyed my visit despite the circumstances that led me here, a need for tranquility amongst those who have gone before us. Our rituals surrounding death are for the living, it’s the way we try to comfort ourselves in times of grief, trying to make sense of the this world, this life and where we fit into it all. Certainly this little fellow was enjoy the morning, collecting the bounty he had hidden to keep him through the winter months. There were lots of squirrels scurrying about, jumping through the dried leaves, darting between the gravestones. I just missed one sat happily on top of a rather grand gravestone sorting out his tail, grooming and washing his face, but he was off before I could take his picture! 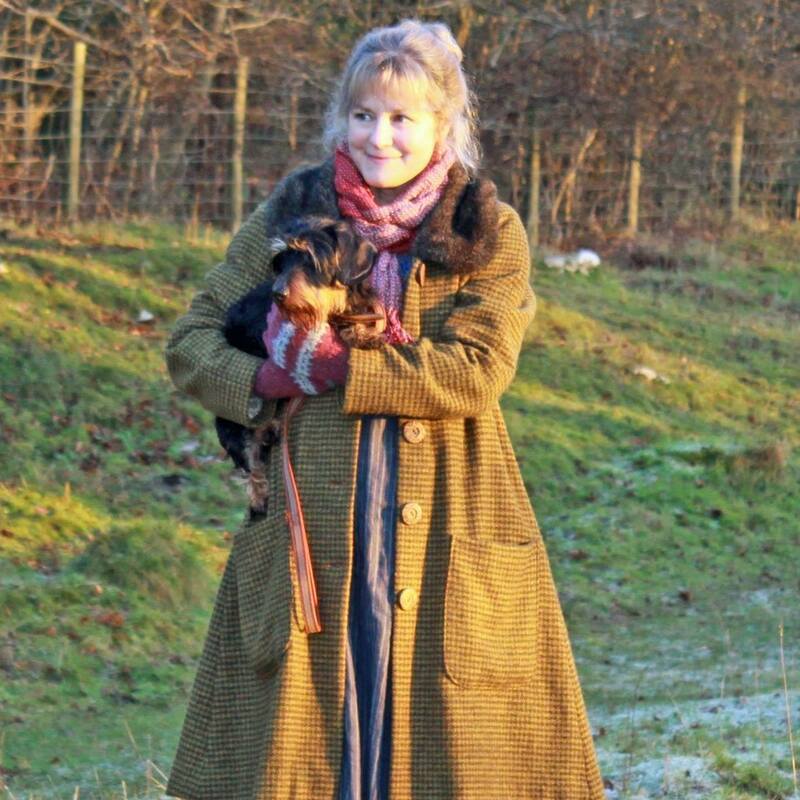 If Archie had been with me he would have chased this little creature given the chance, but today I was alone, but he was in my thoughts, and that’s what this place is for, to give yourself a quiet moment to reflect about the ones we love, even dogs. < A dull day, a walk and some simple sketches. Sorry to hear about Archie, we only saw him the other day.